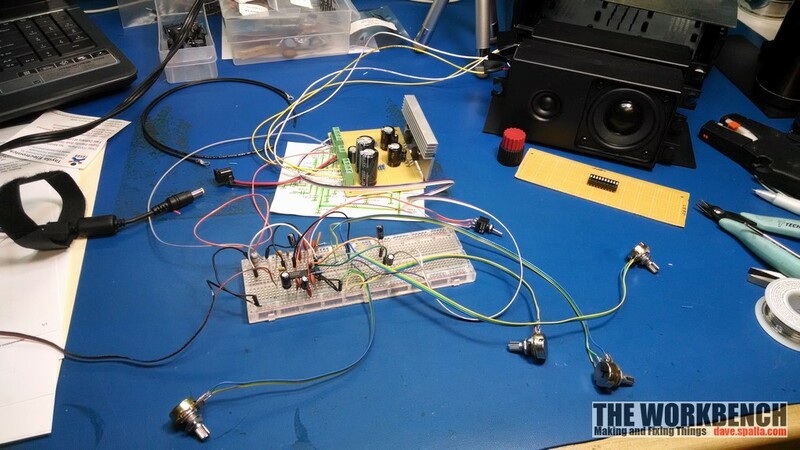 The remaining components finally arrived, the work can begin on the volume, tone and balance portion of the circuit. A couple things of note before the work is detailed. 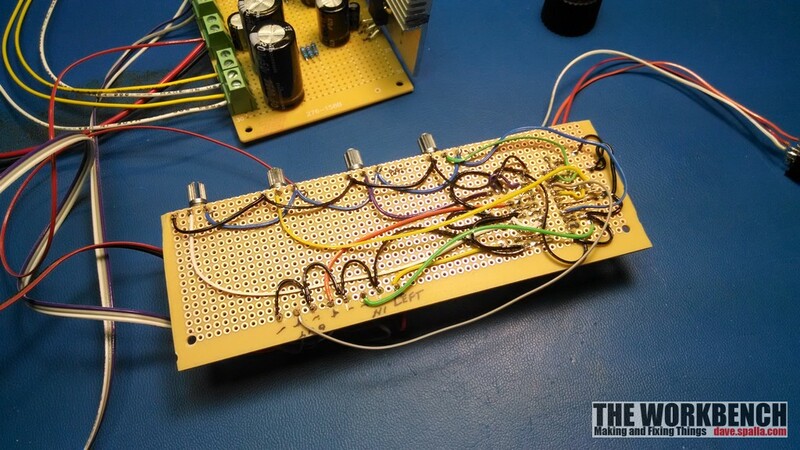 First is that all the components for this project were purchased via eBay (with the exception of the circuit board), primarily from Tayda Electronics. Good quality and very fast shipping. 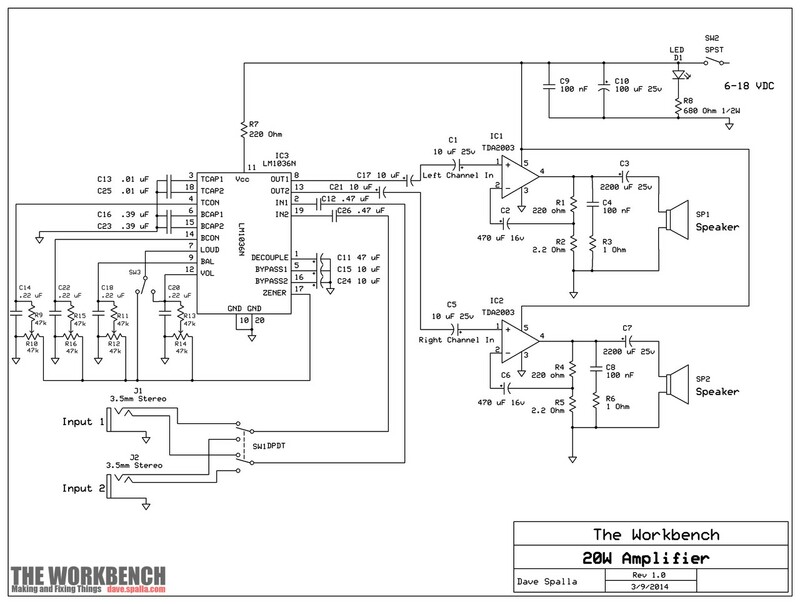 Second item of note is that ExpressSCH is the tool used to create the schematic.. it’s free and easy to use. 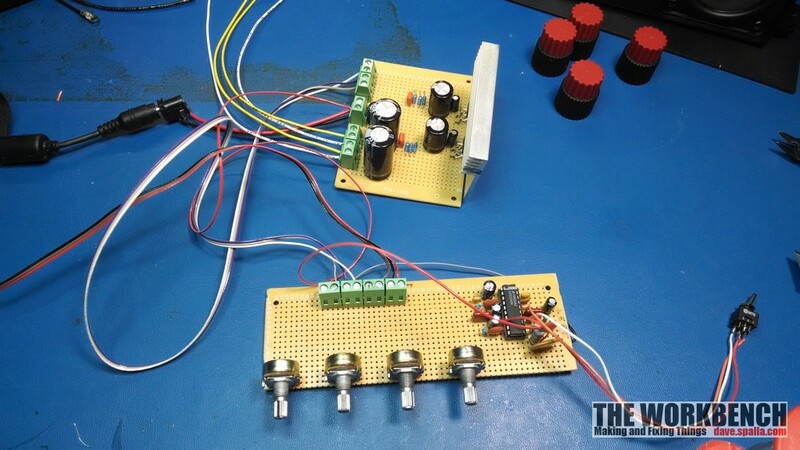 This part of the project was started by breadboarding the LM1036 and associated components. 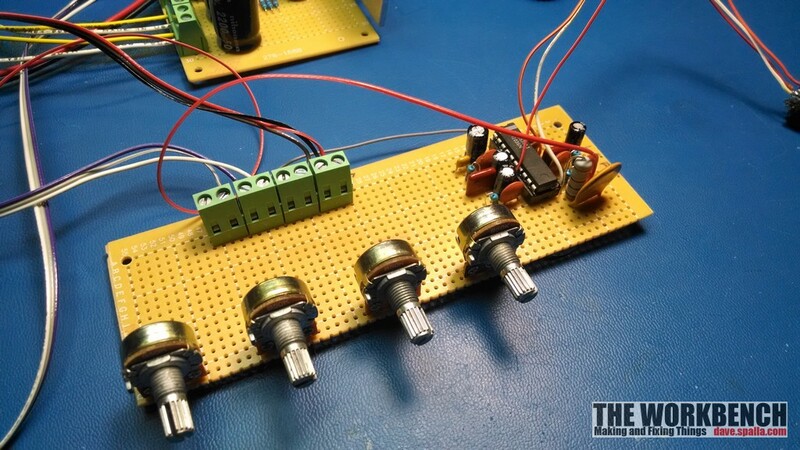 Not difficult, but the challenge is all the ground connections which is more difficult on the PCB than it is on the breadboard. 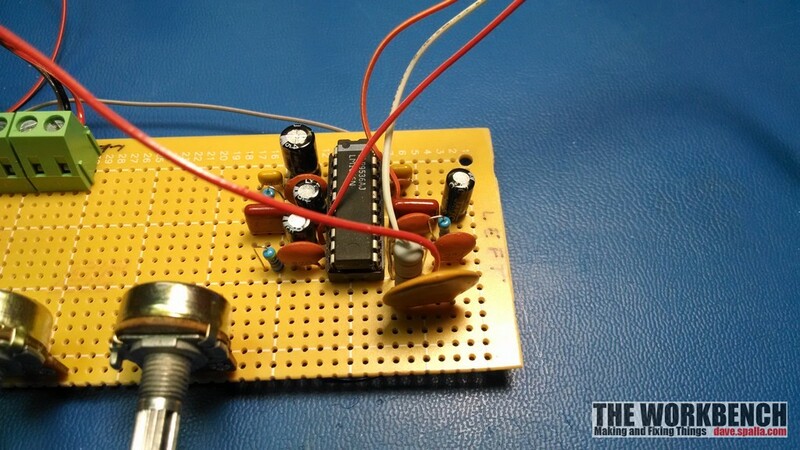 With the circuit test successful, it’s time to mount it on a PCB. The potentiometers are mounted to the board with all the components for a cleaner installation and shorter Itwire runs (that will hopefully avoid humming sounds). 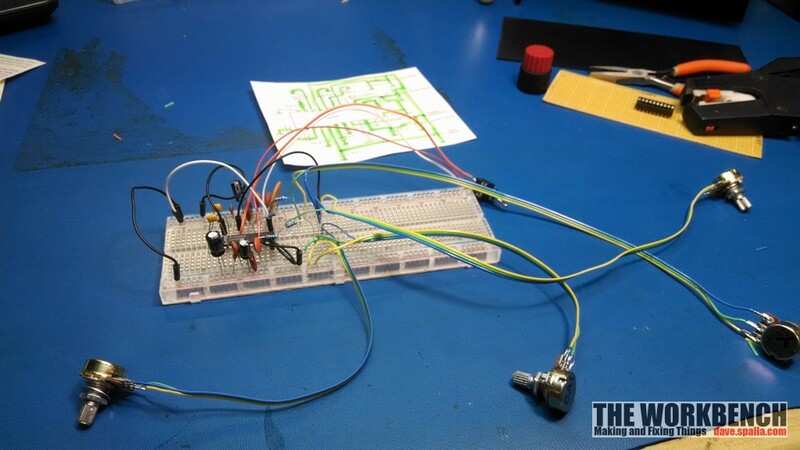 It’s hard to have a neat wire layout when doing the point-to-point wiring, but it turned out good. Again, ribbon cable wire was used. The circuit tested good and now it’s time to mount into the enclosure. Just need a couple switches for power and input selection, a 3.5mm jack for another input, a chassis mount power connector and some binding posts to complete this project.